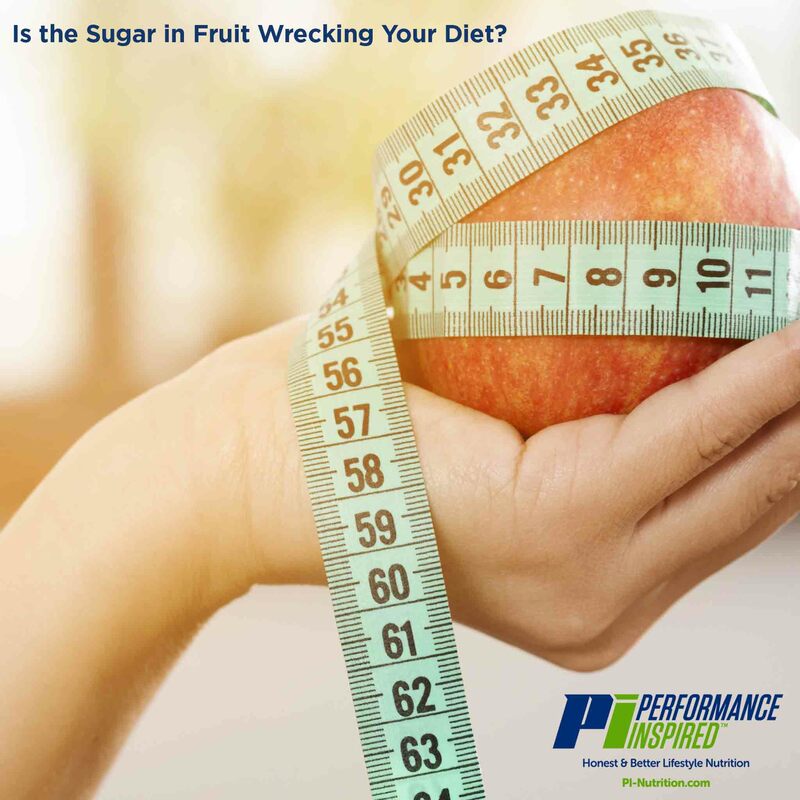 Performance Inspired Nutrition > Nutrition > Tips > Is the Sugar in Fruit Wrecking Your Diet? It’s crazy to think that the sugars in fruit and candy are the same chemically. However, the effects on your health from these sugars couldn’t be more different. When your doctor tells you to cut back on your sugar intake, he/she is talking about added sugars such as dry fruit, baked goods, candy, or cereal. He is not talking about the whole fruit sugars that occur naturally. What are the Health Benefits of Fruit? As you know, eating fruit provides many health benefits. People who eat more fruit are likely to have reduced risk of some diseases, including heart disease. Fruits provide nutrients vital for health and maintenance of your body. They also provide you with less calories while still filling you up. This is a great benefit for those who are trying to lose weight by lowering their caloric intake. Finally, most fruits are naturally low in fat, sodium, and calories, and none contain cholesterol. Fruit provided you with lower calories while filling you up. Which is great for those who are trying to lose weight with a low calorie intake. To make it simpler, whole fruits are all nonprocessed fruits. You want to make sure you are buying fresh fruit that hasn’t been frozen or dried. Yes and No. While you are on the keto diet, there will be fruits you cannot eat. For example, oranges do increase your sugar intake. However, avocados are super keto friendly because they are so high in fat. Fruit is healthy and good for most people to consume. While some fruit can result in an excessive sugar intake and be harmful, this does not apply to the whole fruits we listed above. Whole fruits are healthy for you, high in nutrients, and are filling. We suggest eating more healthy whole fruits to stay on the healthy inspired lifestyle!